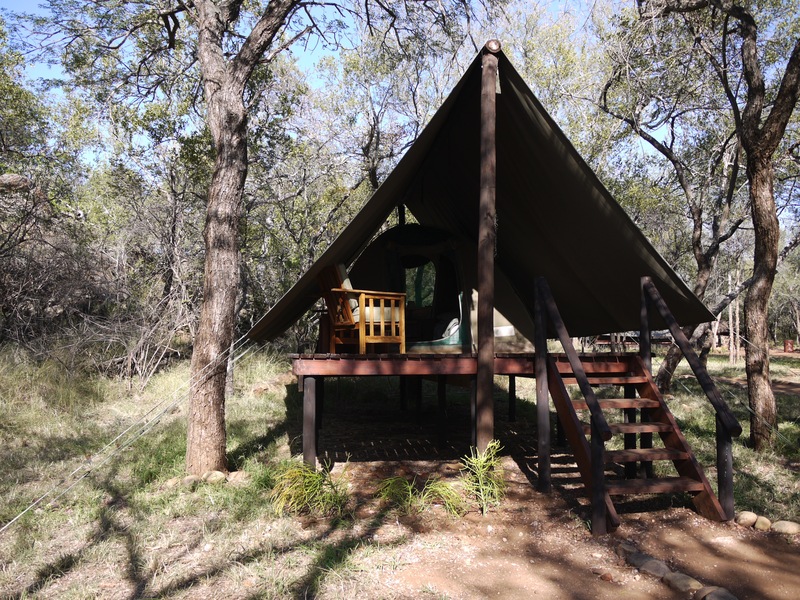 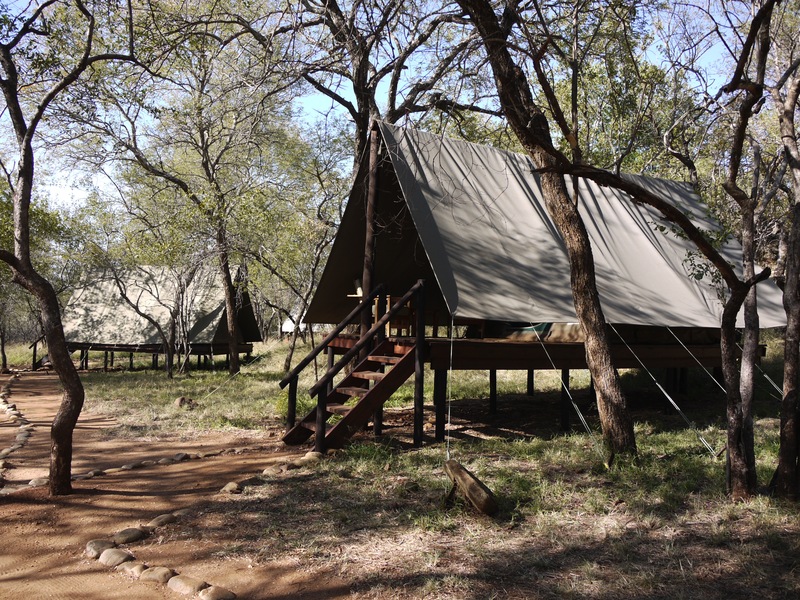 Hunters and their companions are accommodated in a rustic but comfortable camp consisting of 5 tents on wooden decks. 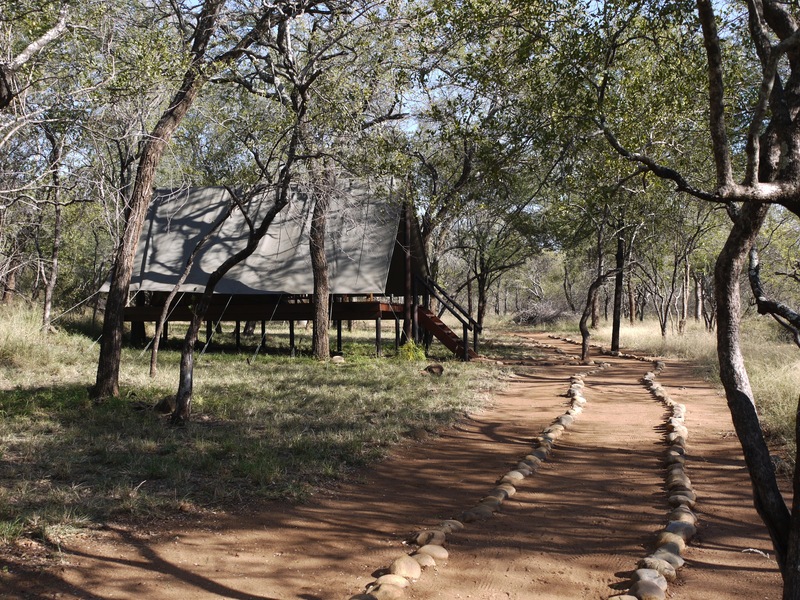 A maximum hunting party of 10 people can be accommodated. 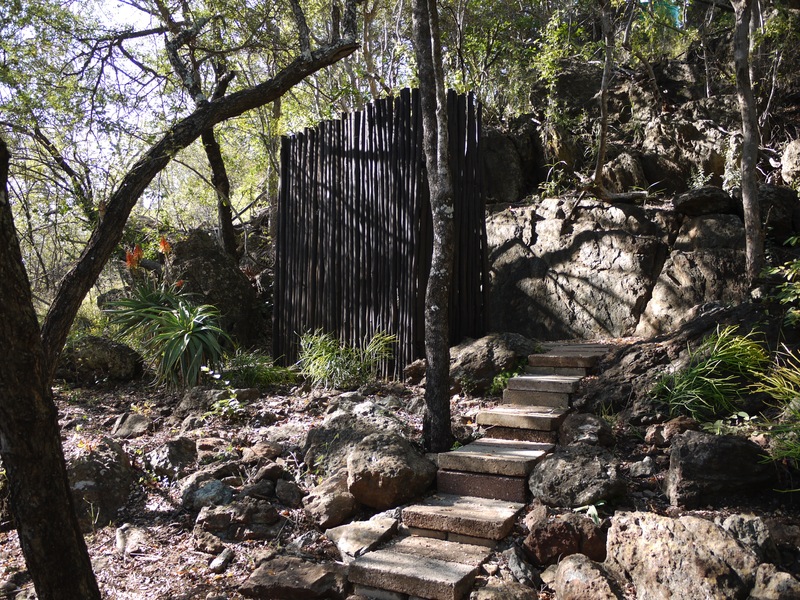 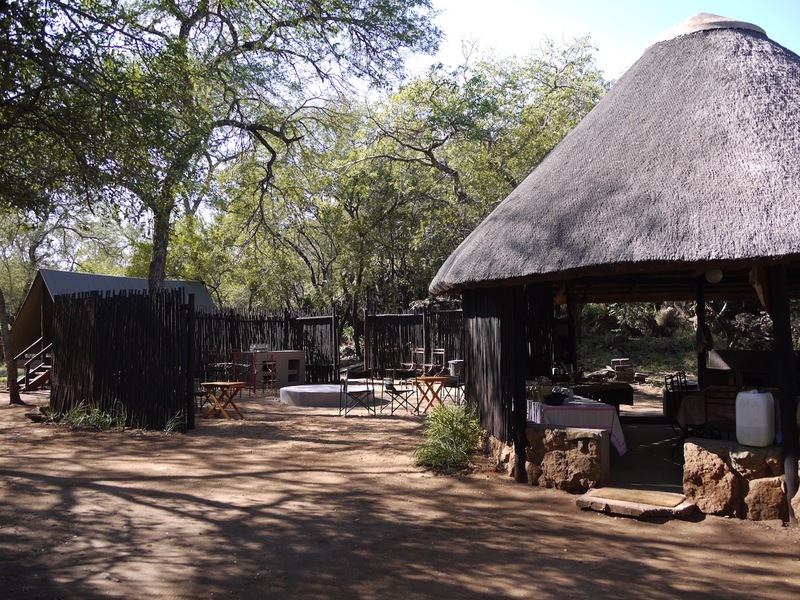 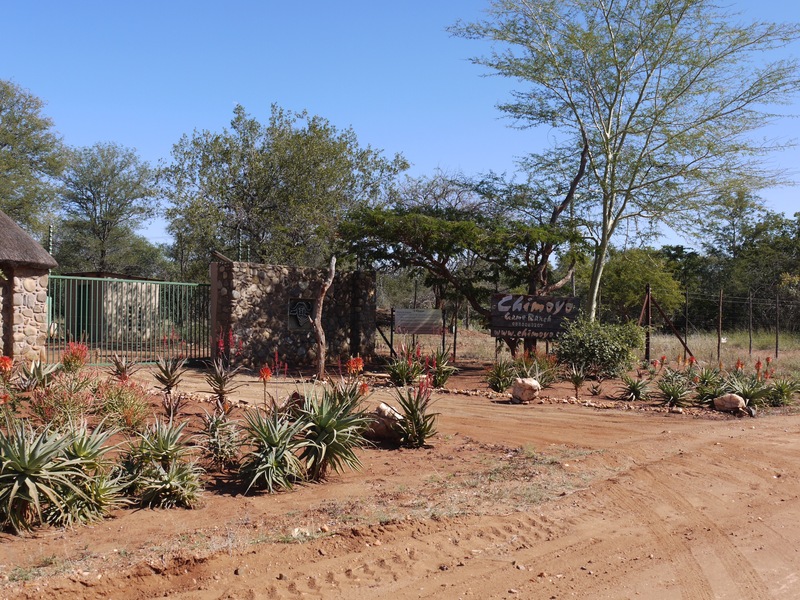 There are 2 thatched ablutions, an open lapa, barbeque and bar area as well as a thatched kitchen and dining room. 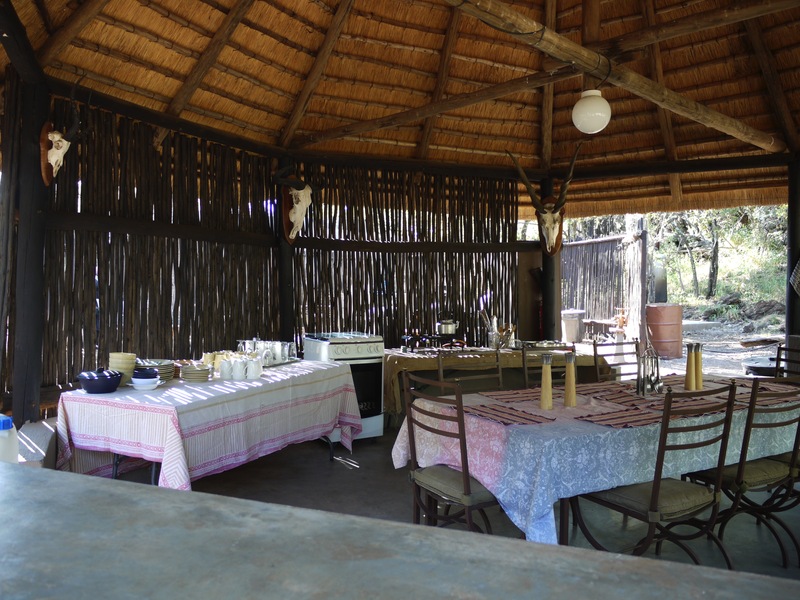 The camp is solar powered and the kitchen comes fully equipped with fridge/freezer, gas stove as well as all cutlery, crockery and utensils. 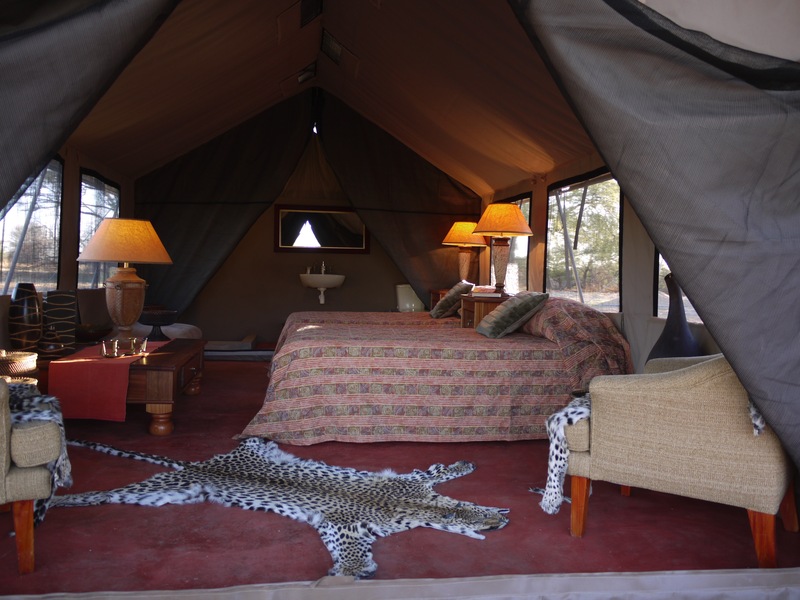 Depending upon the size of the hunting party, PH’s are either accommodated in the camp or at a nearby farm house. 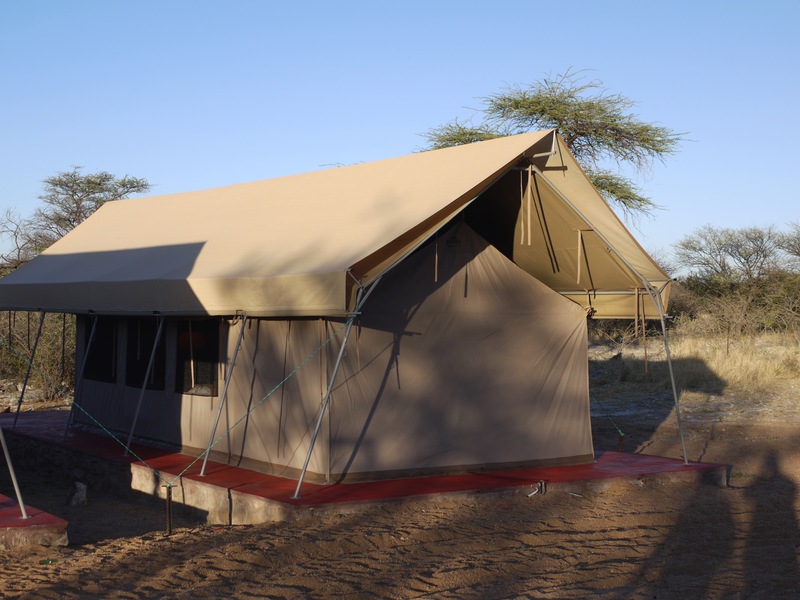 This brand new camp is still under development but will be completed and fully operational as from February 2019. 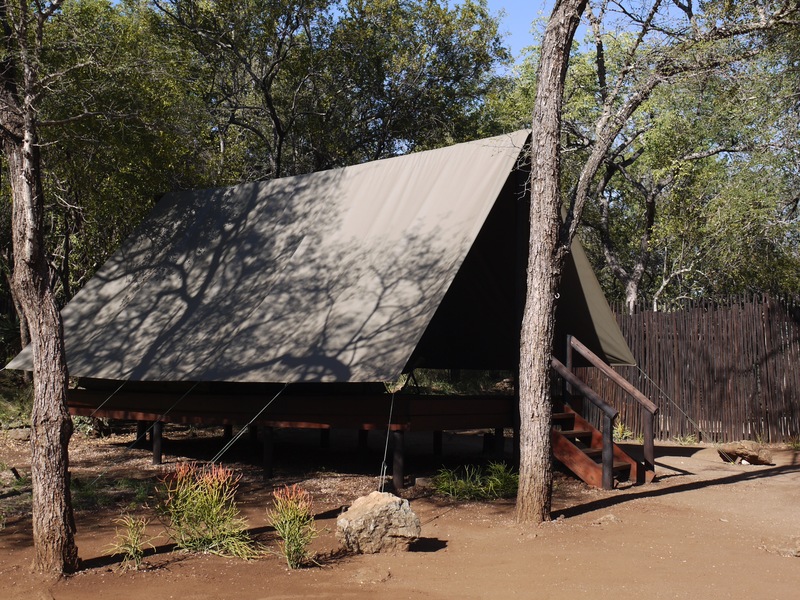 Two spacious en-suite tents which are elevated on smooth concrete slabs provide comfortable accommodation of up to eight people (4 pax per tent). 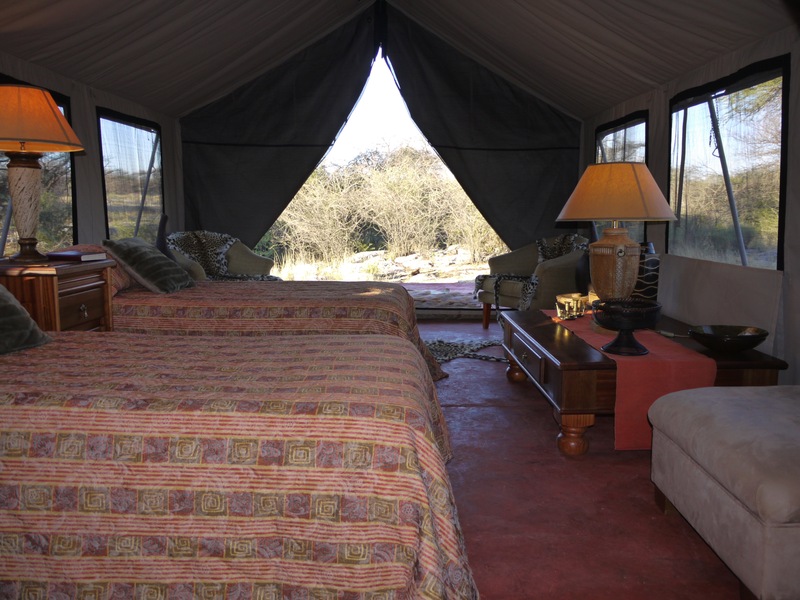 For hunting couples the tents are converted into private suites with king size beds as well as all the standard amenities you would normally expect. 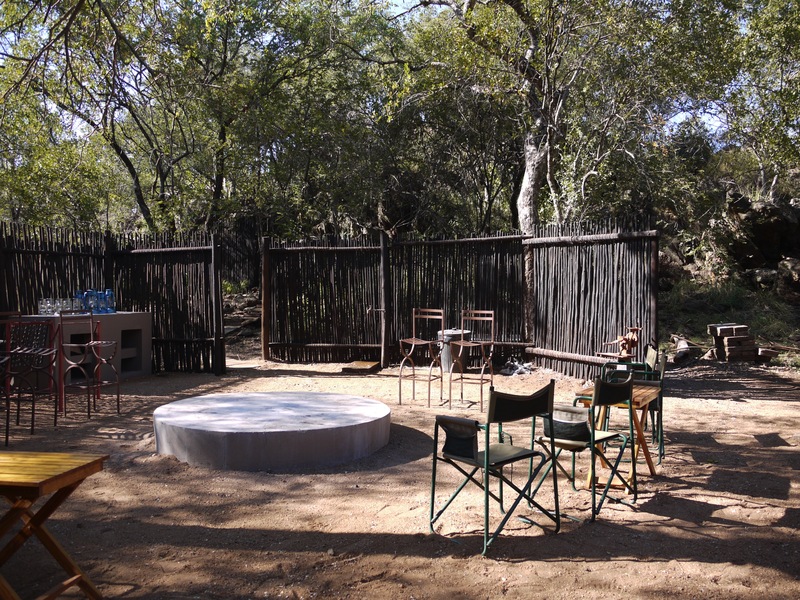 The rest of camp consist of a bar and dining area as well as a fully equipped kitchen with fridge/freezer, gas stove, and scullery. 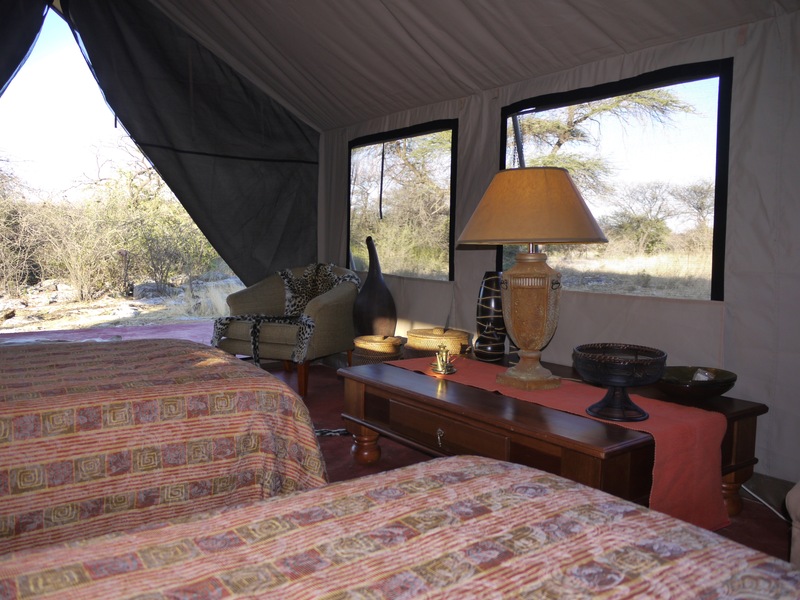 The camp is entirely dependant upon solar and wind energy. 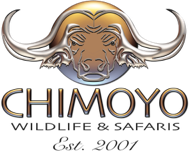 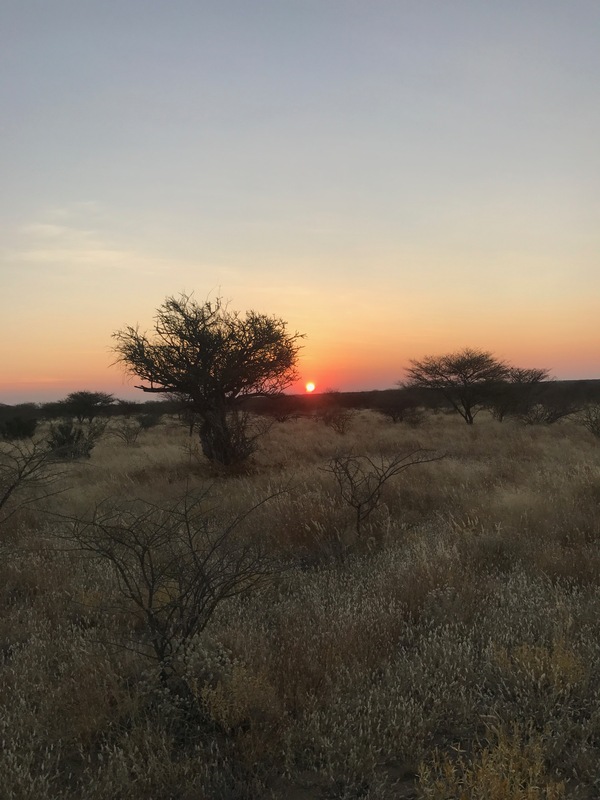 Depending on the size of the hunting party, PH’s are either accommodated in the camp or at the farm house on Okamborombonga.